A rare moment arrived for Alaska's dysfunctional mental health system Friday. A moment of accountability. For years, workers were terribly injured at Alaska Psychiatric Institute, the state mental hospital, while state officials declined to adopt solutions called for by advocates and their own staff and consultants. Now those solutions will be tried and the top three officials overseeing API are gone. The resignations Friday included API CEO Ron Hale, his boss, Randall Burns, who was the director of the Division of Behavioral Health, and his boss, Karen Forrest, a deputy commissioner of the Department of Health and Social Services. Her boss remains, DHSS Commissioner Valerie Davidson. And Davidson's boss, Gov. Bill Walker. No doubt Walker's team is hoping these festering problems won't bother voters like the National Guard scandal that helped bring down his predecessor, Gov. Sean Parnell. A Walker spokesman insisted Saturday his office had nothing to do with Davidson's purge at DHSS. "I was very pleased to see that there was finally some accountability for what I feel like has been a systemic failure to keep people safe," said Rep. Ivy Spohnholz, D-Anchorage, the chair of the House Health and Social Services Committee. "To fix the failure we need to change the people who are leading the system with a fresh perspective, and hopefully a higher level of accountability for the public," she said. But before moving on, it's important to trace how we got to this point, who was hurt, how they finally got heard, and who never got heard. Because it seems still that no one is listening to the patients. The problems started long before this administration. Against the advice of doctors and mental health advocates, the state repeatedly downsized API, planning to pick up the slack with community mental health services. Now the hospital is too small to meet the need even if those services were adequately funded–and they aren't. But downsizing was only a part of the problem. Over the last three years API has repeatedly been unable to operate at full capacity. In late 2015 and early 2016, API closed a unit because it didn't have enough doctors. Patients in mental crises were put on commercial flights to Fairbanks and Juneau for evaluation. Last November, a unit again closed, this time to change doors that didn't meet regulators' requirements. That work was finished in April, but the unit didn't reopen because the hospital couldn't hire enough registered nurses at its below-market wages. In 2014, API was cited by the state Department of Labor as an unsafe workplace. In 2015, a consultant and a new CEO identified low pay and lack of trained, full-time staff as a key cause for that. But the administration refused to ask the legislature for more money. Last year, Labor again cited API for the safety problems. Many more workers had been hurt, some with injuries causing lifelong disabilities. Hale said API still didn't need more trained staff. He tried to hire part-timers who don't get benefits and have only high school diplomas. But at the wages offered, those positions were hard to fill, too. After I wrote about that last winter and members of the public complained, Spohnholz gathered testimony from those affected. She asked the administration to request money for more nurses and higher wages and shepherded that $3.1 million appropriation through the legislature. But the nurses still haven't gotten their raises and the idle unit still isn't open. 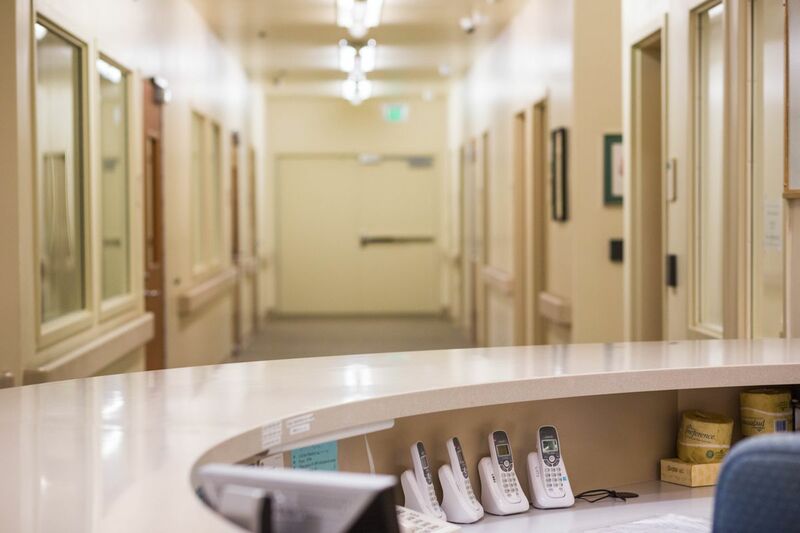 A union representative said existing nurses have been given surveys to describe their duties as part of a re-classification study. After Spohnholz's hearing, the state hired a management-side employment attorney, Bill Evans, to investigate worker safety. He reiterated the same problems found by the other consultants and investigators. At a news conference Wednesday he admitted that API has been studied to death. Davidson promised improvements. But the next day, I challenged her for the lack of accountability. "Is it helpful to talk about woulda, coulda, shoulda, or is it better to talk about moving forward?" she said. As far as I could learn, the only staff changes at that point had been transfer of two supervisors out of API's nursing department in July. Davidson's spokeswoman confirmed that Hale, Burns and Forrest were still in their jobs Thursday. The resignations happened the next day. It seems workers finally have been heard, although they had to go around the administration to the media and Legislature. But what about patients? They have been injured, too. Federal regulators cited API for patient safety problems in 2016 and were back at the hospital this year. In June, API's safety officer sent an email to 19 state officials blowing the whistle on repeated cases of patients inappropriately restrained, secluded and punished, and whose rights were violated, the work of undertrained and frightened staff. "I am pleading with all of you, for all of us, to make a difference here. Enough is enough," wrote the safety officer, Phillip Kauffman, a social worker. "Staff is so afraid for their own safety, they are taking matters into their own hands and API is doing little to address this situation." Burns responded with an email noting that mental patients are difficult to work with and vaguely promising to investigate, without offering to talk to Kauffman or take any specific action. Patient advocate Faith Myers obtained state reports showing that out of 1,486 patients at API in 2017, 116 were injured. Many filed complaints, but Myers said the hospital's process of handling complaints was ineffective and did not comply with the law. Meanwhile, many more patients who need hospitalization can't get it. A former API head admitted to me the hospital was so overburdened that patients sometimes were medicated and released without any therapy–sometimes without any improvement, either, a doctor told me. API discharged fragile patients directly to homeless shelters without follow-up. Another group is affected, too. Everyone who encounters the many mentally ill people wandering Anchorage streets. Speaking for that group, I hope the new management at API will request the resources it needs to take care of these people, get them healthy, and keep them safe. This column has been changed to correct the number of API patients who were injured in 2017.